Who's ready for some FOOTBALL?? Officially licensed NFL (pig)skins will be available in the Fortnite Battle Royale item shop starting this Friday, November 9, according to an announcement from Epic. 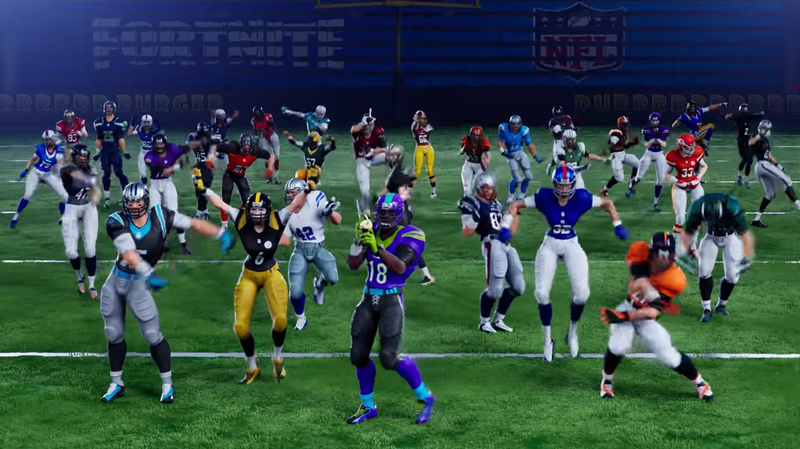 Three different skins will be available, based on what's shown in the trailer below, and each skin can be changed to the colors of any of the 32 current NFL teams. Players can also set their own number, so long as it's between one and 99, that way anyone can cosplay as their favorite player, or maybe even use their own number from when they were a starter in high-school. Before, you know ... the accident. Epic didn't say how much these skins will cost, but since they're officially licensed NFL products, we're gonna guess it's somewhere around the 2,000 v-buck range. For our money, the most interesting part of this whole deal is that there is a female-presenting skin available -- we can't recall a time where we have ever seen an official NFL representation of a woman wearing regulation football gear. It's like looking into an alternate, better universe, and we're glad to see the representation here. It'll be a bummer if the skin is only available in "white lady" flavor, especially given how diverse Fortnite's World Cup skins were, but maybe Epic will surprise us when this all goes on sale at 7 p.m. Eastern on Friday.